Prada is synonymous with a style that has always anticipated, and often dictated, new trends in every field. Prada's influence is universally acknowledged by the market and its most astute observers. For consumers who seeks contemporary luxury, with strong character and unique style. Innovative Italian style. High quality. Masterpiece of creativity, authenticity and avant-garde design.The must-have status symbol in contemporary fashion, Prada reflect the hallmark styling of this world-renowned fashion leader. 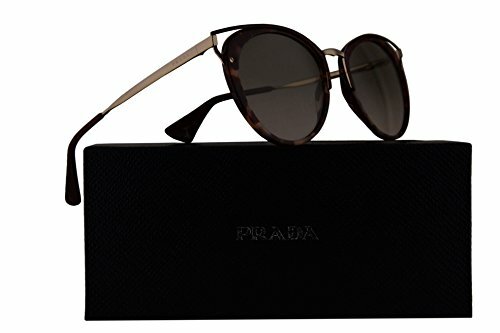 With special attention to innovative design and technological research, each Prada model is a masterpiece of creativity and authenticity. Prada is creasted for fashion trendsetters who appreciate style and product innovation. Designer eyewear made in Italy comes with an original case, cleaning cloth & manufacturer's warranty.